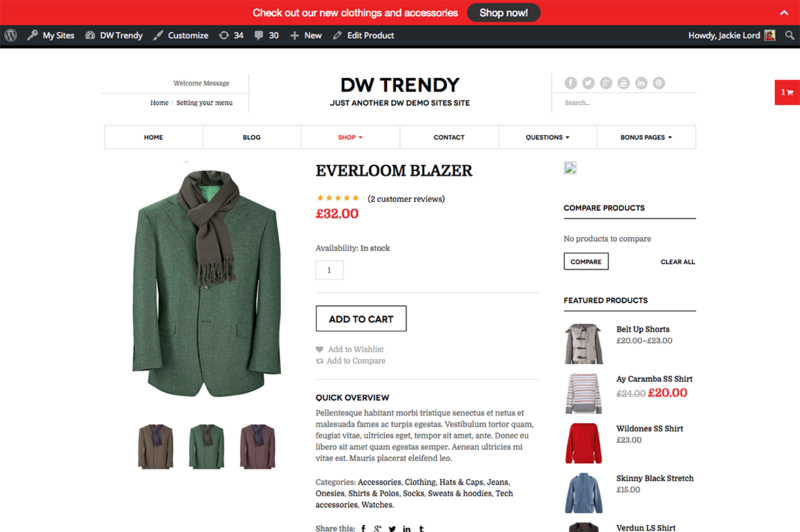 A Fashion WordPress Theme featuring clean layout for online shop and supporting WooCommerce, Bootstrap 3 and Page Builder. 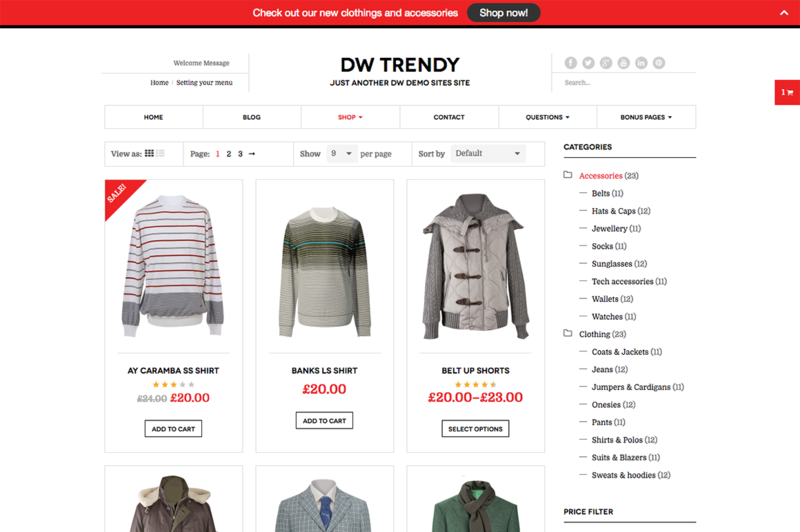 Designed for Fashion eCommerce sites, DW Trendy supports WooCommerce plugin and can be tuned into any type any size of online fashion store as you want to. 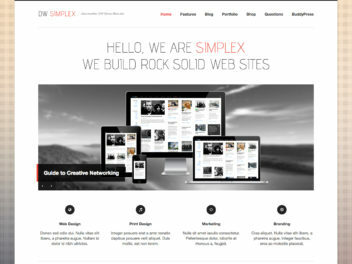 The theme has a clean and classy layout and supports responsive design. 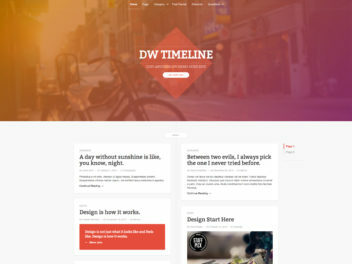 This WordPress theme is highly customizable with Widgets management and Customize panel with custom code supported. The theme layout adapts to different screen sizes and makes sure your site look good on all devices either mobile or desktop. 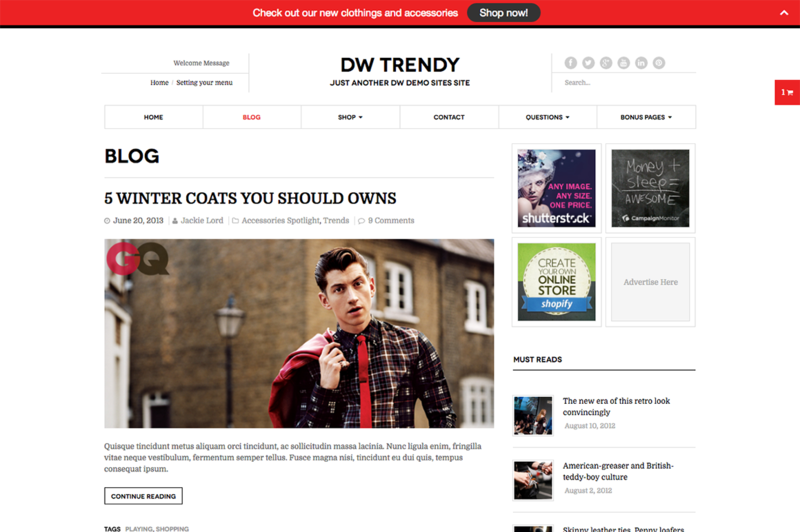 Building an online store is easy using DW Trendy as it supports WooCommerce and its extensions. The theme supports YITH Compare & Wishlist plugin for essential online shopping experiences: products comparison and wishlist. 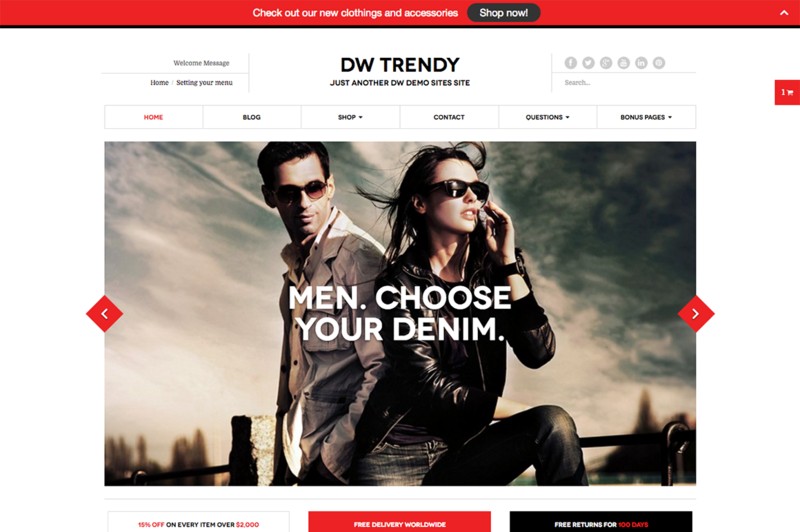 Easily to customize the appearance of the theme: logo, font, color, background and so on. product in shop with multiple options? How to add a button? How to display post category in the same layout as product category?